Boyd Martin and Contesor. Photo by Brant Gamma Photography. The Virginia CCI/CIC & Horse Trials (VHT) wrapped up today at the Virginia Horse Center. 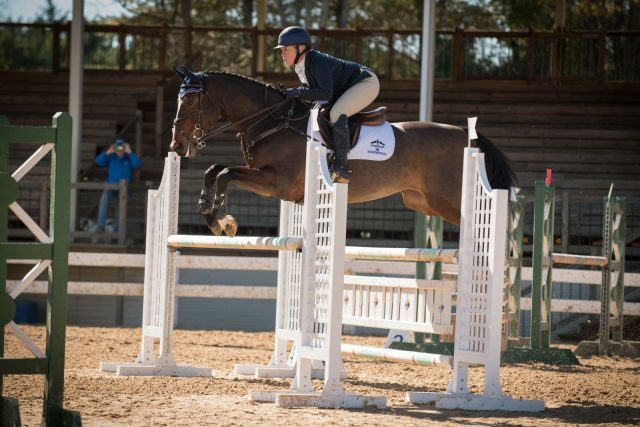 The final phase of show jumping altered the top of the CCI leaderboards and the results of the 2018 USEF CCI1* Eventing National Championships. Boyd Martin picked up a second international win, having already won the CIC2* on Saturday. Today he entered the show jumping arena sitting first and second in the CCI2*. A rail down for Barry, a 9-year-old Canadian Sport Horse he owns with Nancy Hathaway and Kathleen Crompton, dropped the horse to third place. A clear round meant victory for Denise Lahey and Pierre Colin’s homebred Contestor. Boyd was pleased for Contestor’s connections but disappointed in himself for taking a rail on Barry. “Barry deserved to win because he was jumping really well. I made a major error turning him in the air over a vertical. I heard him just tick it behind so that rail was definitely my fault. He wanted to jump clear,” said Boyd, who owns the horse with Windurra, USA. The 11-year-old KWPN Contestor has now added a second two-star victory to his record, having won the Bromont CIC2* in the summer. 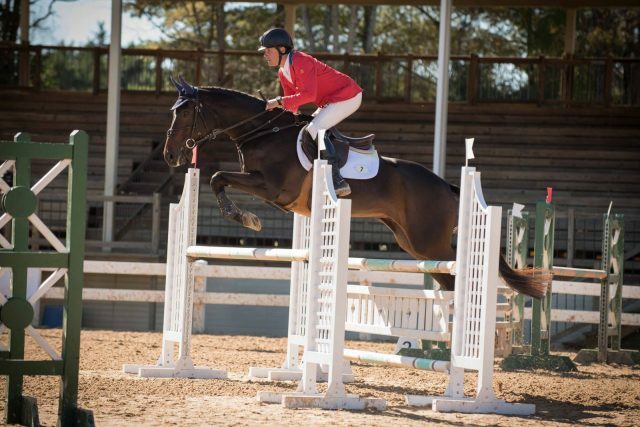 “I find a lot of pleasure in riding horses for owners that really love their horse. Denise Lahey and Pierre Colin bred the horse and love the horse like it’s their child. A win at this and Bromont is a thrill for me because it’s so satisfying for those guys that backed me for many years,” he said. Ryan Wood and Ruby. Photo by Leslie Threlkeld. Australia’s Ryan Wood and Ruby, a 9-year-old Oldenburg mare owned by Summit Sporthorses Ltd., commanded the CCI1*-A division throughout the competition. They had one rail in hand for show jumping, which they used up at the very first fence on course, but they finished without additional penalties and won by less than a point. Colleen Rutledge and C Me Fly. Photo by Leslie Threlkeld. Finishing in second place in the CIC1*-A division and taking home the USEF CCI1* Eventing National Championship title as the highest placed American rider was Colleen Rutledge and 6-year-old Westphalian mare, C Me Fly, who started the competition in a three-way tie. Boyd Martin and Ringo Star. Photo by Leslie Threlkeld. 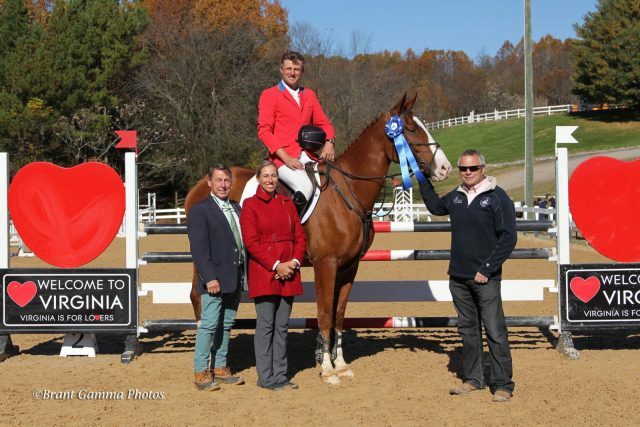 Adding another accolade to his performance this weekend, Boyd Martin and Ringo Star, an 8-year-old Thoroughbred owned by Helle Goodrich, were named USEF CCI1* Eventing National Reserve Champions and finished third overall in the division. Isabel Finemore and Rutherglen. Photo by Leslie Threlkeld. 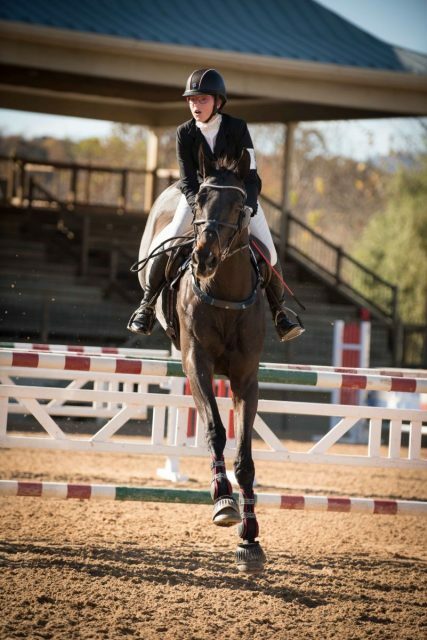 Looking to the CCI1*-B division, 15-year-old Isabel Finemore took top honors in her very first one-star riding Rutherglen, a 15-year-old Hanoverian. They also won the USEF CCI1*-JR/YR National Championship. Isabel had two horses in the division so had already gotten a shot at Chris Barnard’s show jumping course with her pony, Craig More Tom. 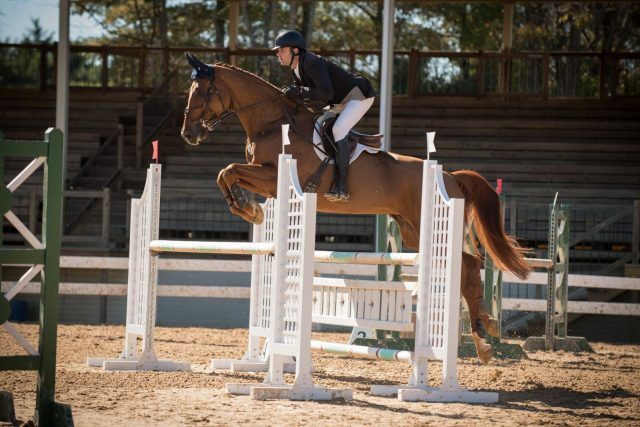 Coming second in the USEF CCI1*-JR/YR National Reserve Championship and in the CIC1*-B division was Kelsey Ann Quinn and Julie Quinn’s 12-year-old Thoroughbred, Dandy Longlegs. They led the division through the first two phases but unfortunately added faults in show jumping. Best Turned Out CCI2*: Valerie Vizcarrondo Pride and Favian. Eight teams participated in the Intercollegiate and Alumni Team Challenge. Although Randolph-Macon College led after the first two phases, the University of Virginia edged ahead to win. Full team challenge results are available here.